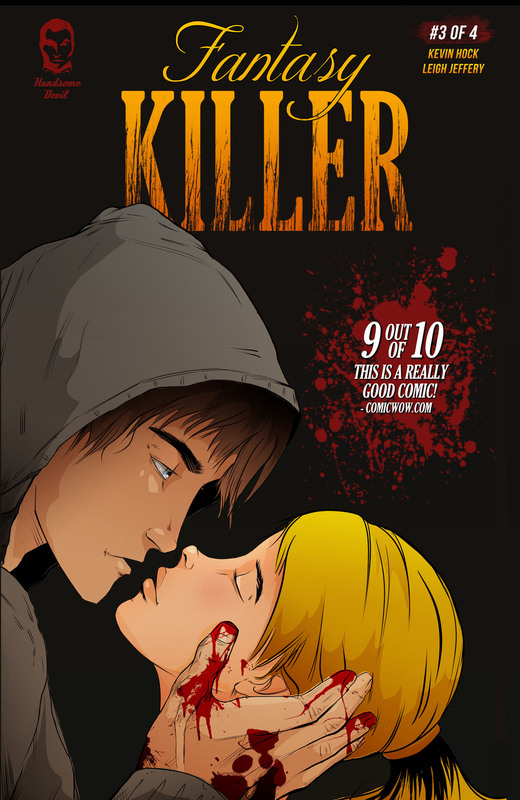 Fantasy Killer is a 4 Part Comic Book Mini-Series with elements of Horror, Dark Comedy, and Suspense! An Indie comic brought to you by the creative team of Kevin Hock and Leigh Jeffery of Handsome Devil Comics. Alex McCormick USED to be somebody. When his blossoming music career comes to a screeching halt, Alex is hurled into a downward spiral that has him on the edge, and ready to snap at any moment! 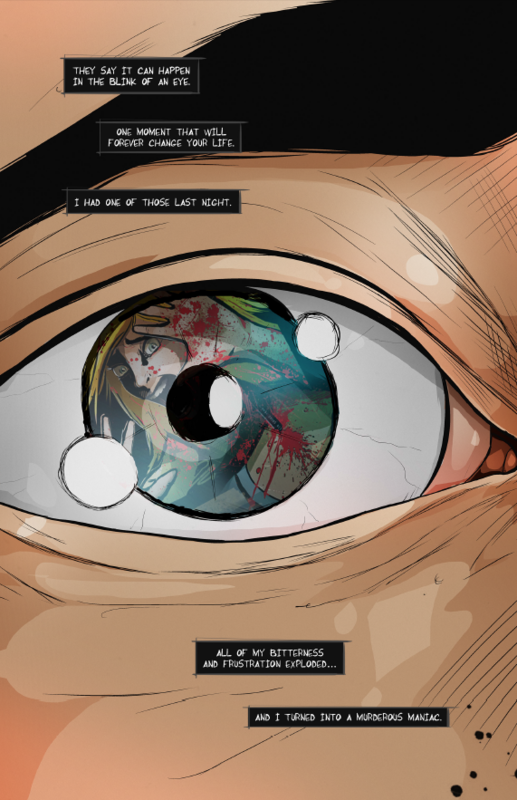 Fantasy Killer is a 4 Part Comic Book Mini-Series with elements of Horror, Dark Comedy, and Suspense! He's slowly blurring the line between reality and blood drenched fantasy. What will it take for once blossoming musician, Alex McCormick, to become a cold blooded killer? Unbalanced cynic, Alex McCormick, has reached his boiling point! His friendships, freedom, and life lie in the balance.